"Home energy efficiency is one of the easiest, most immediate and most cost-effective ways to reduce carbon pollution and save money on energy bills, while creating new jobs," said U.S. Secretary of Energy". Green Project Marketing and its team has supported green builders in the areas of green marketing strategy, sponsorship development, promotions, special events and website development/SEO/SMM. We are pleased to offer a few case studies for review. 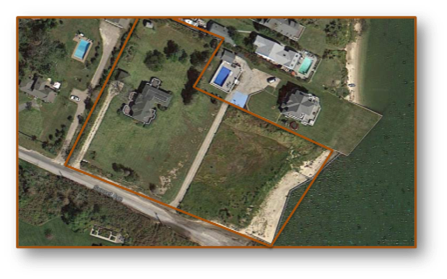 Project: Single-Family residential development in Southampton, NY. On October 29, 2012, Hurricane Sandy battered the east coast with strong winds and a severely damaged the existing cottage on site. Decision was made to rebuild and pursue a Platinum level of certification from LEED for Homes. This will be the first project in the Southampton area to take advantage of recently passed 10-year tax exemption for LEED certified homes. Home will be 3,600 sq. ft. with five bedrooms, five full bathrooms and two half-bathrooms; Pool House will consist of 1,000 sq. ft., with great room, two changing rooms, one full bathroom and wet bar. A 16' x 48' pool with bluestone coping set into 2,500 sq. ft. elevated deck with outdoor shower and screened porch. Construction commenced in April 2014; Groundbreaking commenced in June 2014; Completion date, Summer 2015. Principals/Key Partners: General Contractor, Christopher Mensch, Coastal Management, LLC; Architect, William Heine, William F. Heine Architect; Landscape Architect, Timothy Rumph, Founder & President, Araiys Design; Kim Erle, LEED AP, Project Team Leader; LEED Green Rater, Richard Manning, President, Energy Master LI Building Consultants; LEED Provider, Ian Johnson Project Director, Thornton Tomasetti; LEED AP Sustainability Consultant, Jennifer Berthelot-Jelovic, President & CEO, A SustainAble Production LLC; LEED AP Sustainability Consultant, Kathryn Cannon, Founder, GreenBoom Consulting. Objective: Client registered this project for LEED for Homes and will seek LEED Platinum level of certification. Home will feature the latest in green product technology, water conservation systems, renewable energy components, greatly enhanced indoor air quality, optimum noise reduction, and ventilation products. Client also wanted to educate local building and architectural community along with affluent local residents about green building and the latest products. Challenge: Pursue sponsors that wanted to provide deeply discounted or donated green products for this project in exchange for lead generation, trade and consumer exposure, green building case study, branding and ROI benefits. Goal is to reduce builder's overall budget and produce a model showcase for green building in the Hamptons area. Solution: Develop and implement integrated sponsorship, partnership marketing, digital marketing and event marketing programming. Results: Numerous sponsors were secured including AdvanTech, Bosch, CertainTeed Gypsum, CertainTeed Gypsum, Duravit, Huber Engineered Wood, Liberty Cedar, Marvin, Proteak, QuickDrain USA, Speonk Lumber, Thermador, True Mfg. and ZIP System. 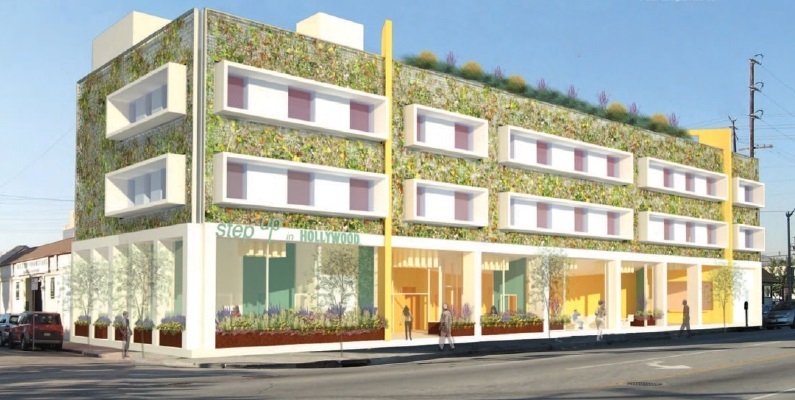 Project: Step Up on Vine is a historic retrofit and rehabilitation of a 20,718 SF, three-story 1925 style hotel into a 34-unit affordable housing project. The facility is intended for the psychosocial rehabilitation and support of the homeless affected by severe and persistent mental illness. Principals/Key Partners: Step Up on Vine, LP and HCHC, both 501(c)3 organizations. Initial funding from the Los Angeles County Department of Mental Health and a private contribution by Aileen Getty; Shangri-La facilitated Step Up on Second’s initiative, “Step Up in Hollywood: Sustainably Ending Homelessness” a 2010 Clinton Global Initiative Commitment to Action. Challenge: Pursue sponsors that wanted to provide deeply discounted or donated green products for this project in exchange for branding, exposure, lead generation and ROI benefits. Goal is to reduce builder's overall budget. Solution: Develop and implement integrated sponsorship, public relations, interactive (website) and event marketing strategy. Results: The project received a notable LEED Platinum Certification. Sustainable features include ENERGY STAR Rated appliances and fixtures, high-efficiency variable refrigerant flow system for heating and cooling, the addition of a cool roof including a 50 kW solar array on roof deck, exterior green screens, daylighting strategies, use of a grey water/irrigation system and new efficient electrical and mechanical systems. The rehabilitation improved the building’s existing energy efficiency by at least 20%. Green Project Marketing was hired in the beginning of the project to secure sponsorships. Due to timing and project management challenges, client completed project on its own. 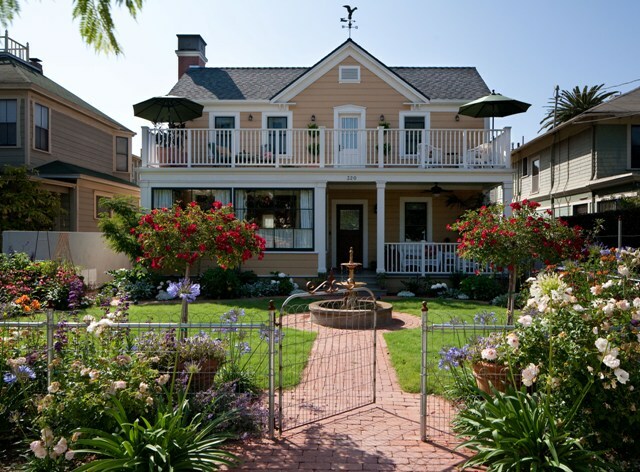 Project: Four unit, mixed infill residential development in downtown Santa Barbara consisting of a replicated Victorian home and three condominium units. Home is 2,300 sq. ft. with three bedrooms and two bathrooms; Condo unit #1 at 1,800 sq. ft., three bedroom and two bathrooms; Unit #2 1,700 sq. ft., three bedroom and two bathrooms; and Unit #3 at 1,200 sq. ft., two bedrooms and one bathroom. Engagement commenced in late 2008; Completion date, Fall 2010. Principals/Key Partners: Allen Associates, Grace Design & Associates, Thompson Naylor Architects and HartmanBaldwin design/build. 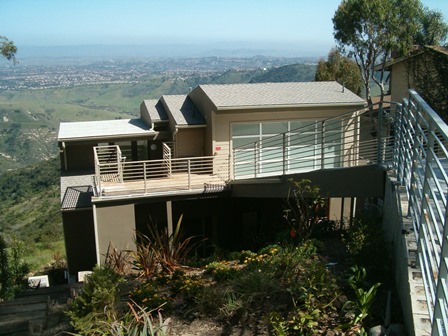 Objective: Client registered this project for LEED for Homes and achieve LEED Platinum. Upon certification, this project became one of the highest rated LEED Platinum projects in the U.S. Units feature the latest in green product technology, water conservation systems, renewable energy components, greatly enhanced indoor air quality, optimum noise reduction, and ventilation products. Client also wanted to educate local government, trade, and consumers about green building while branding their companies as a leader in the green building field. Results: Over $300,000 in secured sponsorship and value above and beyond contractor's discount. Approximately 35 sponsors are participating in this project. Numerous trade and general market events held at property. 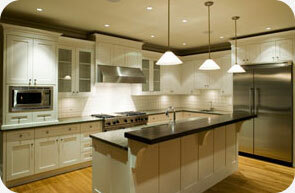 Project received LEED Platinum certification and created one of the greenest homes in the United States. Planning of local events in association with Allen Associates. There are ongoing educational and special events occurring at property. Note: Original website was revised after completion of project. Project: Residential development at the top of Laguna with a multi-million dollar unobstructed view of Aliso/Wood Canyon Regional Park. Home will offer 3,315 sq. ft., four bedrooms and four and a half bathrooms; four levels; multiple decks; elevator on a 5,600 square foot lot. Engagement commenced in Spring 2009; Completion date, Summer 2011. Objective: Client registered this project for LEED for Homes. 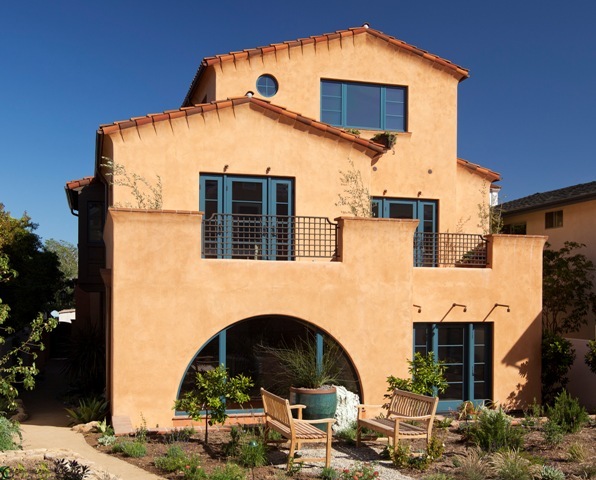 Project's goal was to become one of the greenest residential homes in Laguna and this part of Orange County. Goals were to introduce the latest in green product technology and systems, water conservation systems, renewable energy components and indoor air quality. Challenge: City restrictions on some type of products, building on to a hillside with entrance issues, height restrictions and local water connections. Solution: Develop and implement sponsorship, public relations, interactive (website) and event marketing strategy. Results: Approximately $100,000 in secured sponsorship and value above and beyond contractor's discount. Sponsors participating in this project covered categories such as windows, elevator, building supplies, fireplace, tile, flooring, HVAC and plumbing fixtures. Numerous trade and general market events were held at property. Project: Three-story, 3,213 sq. 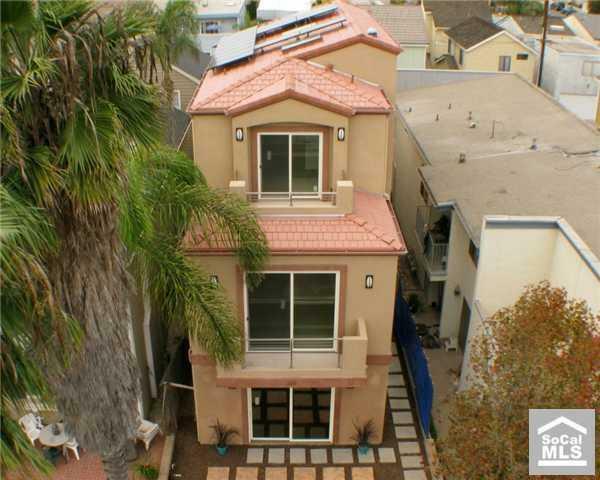 ft., three bedroom, three full bathroom, and two half-bathroom residence three streets from the ocean in Huntington Beach. Engagement commenced in late 2007; completion date, late 2009. 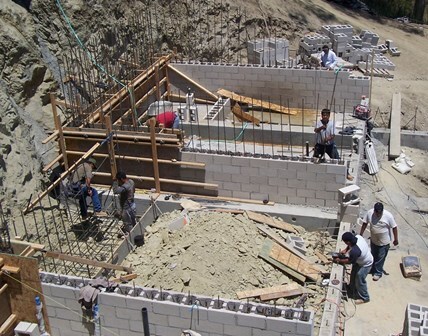 Principal: Living Green Homes Construction & Development, Inc. Objective: Client wanted to build one of the greenest homes in Huntington Beach and Orange County, CA by featuring the latest water conservation systems, renewable energy components, and environmentally friendly building materials. Client also wanted to educate local government, trade, and consumers about green building while branding his company as a leader in the field. Challenge: Develop and implement a marketing and sponsorship program to offer a value opportunity for major green manufacturers and distributors. Goal is to reduce builder's overall budget. Solution: Develop and implement sponsorship, public relations, interactive and event marketing strategy. Secure sponsorships, develop website, initiate trade and consumer events and deliver additional exposure via public relations efforts. Results: Over $275,000 in secured sponsorship above contractor’s discount. Approximately 65 sponsors were secured for this project. Two videos recap the groundbreaking event and portions of the grand opening event to thank the many sponsors that participated. This home, at the time, was one of the greenest in Huntington Beach as well as Orange County, CA. Groundbreaking Event with U.S. Congressman, two Mayor's, City Council Member, local green business leaders and media. Grand Opening Event with dozens of project sponsors, local civic leaders, USGBC-Orange county chapter, local green business leaders and media. A one-hour television holiday special produced by Telco Productions featured the latest green products & eco-friendly projects & activities. Special show was syndicated in over 100 markets nationwide on affiliates of ABC, CBS, NBC, and Fox depending on the market, with coverage estimated over 80% of the U.S.
GPM (Achieve Marketing Group, parent of GPM was mentioned) had two of its projects, Project 319 and Victoria Garden Mews, highlighted in the show which garnered millions of impressions across the U.S.